When pursuing a college career, funding is an important concern. To help Hispanic / Latino students overcome this issue, HETS member institutions offer a variety of financial aids. 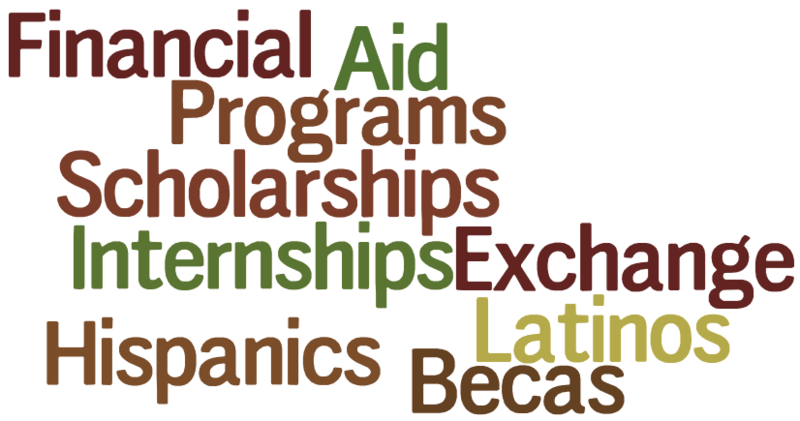 Other private organizations provide scholarships and fellowships to assist Latinos’ meet academic objectives. We have created a list of sites that includes our member institutions. A scholarship is an award of financial aid for a student to further education. Scholarships are awarded on various criteria usually reflecting the values and purposes of the donor or founder of the award. A sample of different types of awards that are available at HETS member institutions is included. Further details can be found visiting the Financial Aids sections of the desired institution. Visit the Scholarship for Hispanics section to learn more!